Friend and fellow author Staci Troilo has a new book (and a new pen name) coming soon. Look for The Gate by D. L. Cross coming next month! Ciao, amici! Life’s been busy, and it just got CRAZY. My publisher moved the release date of my new book from October to May 7. May 7! That’s less than a month away! I’ve got so much pre-release work to do. Starting with a cover release. So… ta-da! It’s it stunning? I’m so excited about it. Let me back up a step. First, you’ll notice it does NOT say “Staci Troilo” on the cover. We’ve talked about this before, here and there or in passing. I’m writing under a pen name (D. L. Cross) for this series. We can talk more about that later, though. Maybe we’re a glutton for punishing ourselves, but today at Story Empire each of us picked our favorite work. Not an easy thing to do. Stop by and see which of our own books we selected. Hey, SEers! This is one of those months with five Fridays in it. That means today is a group post. The theme for today is Favorite Book Written and Why. We’re each going to tell you our personal favorite. We encourage you to share yours in the comments. Ciao, amici! Staci here. It was hard to pick a favorite, but I chose Tortured Soul. It’s the fourth and final book in the Medici Protectorate Series. I won’t swear it’s my favorite, but it’s up there. And here’s why. The writing is a lot stronger than at the beginning of the series. It’s the culmination of a work inspired by my grandfather. It’s a springboard to another series that I enjoy. You can read more about it here or purchase it here. Hey SE Readers. Joan here. Friend and fellow author Mae Clair has a brand new release! I promise you’ll love this one. Today is the book birthday for End of Day, book 2 of my Hode’s Hill trilogy. If you enjoyed book 1, Cusp of Night, you’ll find this one in the same vein. Once again, I’m visiting the small Pennsylvania town of Hode’s Hill, but with a plot whose tentacles reach back to the town’s founding. As in Cusp of Night, I’ve spun two mysteries—one in the the past (taking place in the year 1799) and one in the present. You get two separate mysteries that tie together at the end. Six best-selling authors explore the world of fiction. 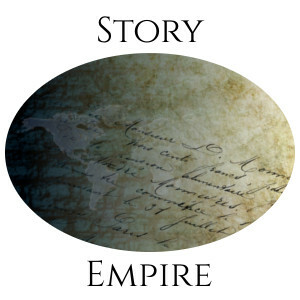 Click on the logo to visit the Story Empire site.